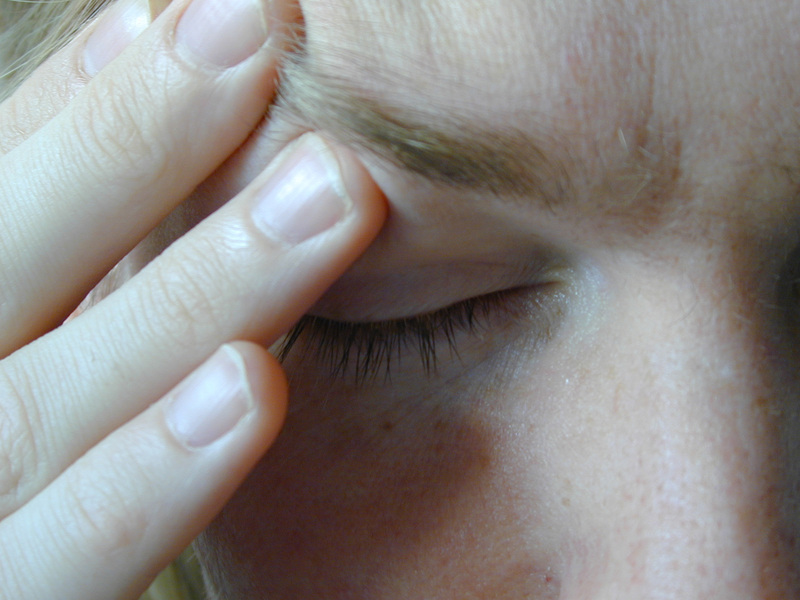 For over thirty years now, we’ve seen the management of pain being treated by mindfulness. This technique was brought into the mainstream by Jon Kabat Zinn and his now highly successful mindfulness-based-stress-reduction (MBSR) program, which began at the Stress Reduction Clinic at the University of Massachusetts Medical Center in 1979. In his 1982 paper titled, “An outpatient program in behavioral medicine for chronic pain patients based on the practice of mindfulness meditation: theoretical considerations and preliminary results.”, Zinn declares that there is a detachment experienced in meditators from the sensory experience and the “affective/evaluative alarm reaction” experience via the meditator’s new-found cognitive reappraisal. Now let’s switch gears for a moment. This may seem obvious, but a number of studies suggest a relationship between pain and inflammation. For example, Laird et al., (2011) studied the relationship between pain and inflammation using C-reactive protein (CRP) as a marker, concluding a positive correlation using data from two clinical trials. Later, Laird et al., (2013) expanded their study, using a larger cohort of patients to test patient-reported outcomes (including the perception of pain) and inflammation levels (again using CRP). Much like their first study, they concluded that the majority of cancer symptoms are associated with inflammation — including pain. To this point, we’ve been assuming that meditation acts to reduce our perception of pain through Zinn’s mechanism of cognitive reappraisal. We may want to reconsider this long-held idea — it appears that meditation may actually have a biophysiological effect! A recent study by P. Kaliman et al., (2013) reveals that meditation may have an additional pain-reducing effect through its possible control over inflammatory pathways. Kaliman et al., shows that mindfulness may produce beneficial effects for peoples with chronic inflammation, by way of the mechanisms employed by anti-inflammatory drugs like HDACi (e.g. Trichostatin A) or cycloxygenase inhibitors (e.g. asprin). While Kaliman et al., (2013) could not demonstrate that the downregulation from meditation/HDAC gene expression had an impact on these anti-inflammatory pathways, this correlate is an important finding, warranting further research. Considering that meditation appears to have a profound effect on pain, yet needs more evidence outlining its mechanism of action, more research in this direction may help to increase funding for meditation and pain research researchers. Laird, B., McMillan, D., Fayers, P., Fearon, K., Kaasa, S., Fallon, M., Klepstad, P. (2013). The systemic inflammatory response and its relationship to pain and other symptoms in advanced cancer. Oncologist, 18(9), 1050. Laird, B., Scott, A., Colvin, L., McKeon, A., Murray, G., Fearon, K., Fallon, M. (2011). Cancer pain and its relationship to systemic inflammation: an exploratory study. Pain, 152(2), 460. Kabat-Zinn, J. (1982). An outpatient program in behavioral medicine for chronic pain patients based on the practice of mindfulness meditation: Theoretical considerations and preliminary results. General Hospital Psychiatry, 4(1), 33. Kaliman, P., A´lvarez-Lo´pez, M., Cosı´n-Toma´s, M., Rosenkranz, M., Lutz, A., Davidson, R. (2014). Rapid changes in histone deacetylases and inﬂammatory gene expression in expert meditators. Psychoneruroendocrinology, 40, 96. Woolf, C. (2010). What is this thing called Pain? The Journal of Clinical Investigation, 120 (11), 3742. This entry was tagged Inflammation, John Kabat Zinn, MBSR, meditation, meditators, Mindfulness Based Stress Reduction, Pain, Pharmaceuticals, Shinzen Young. Bookmark the permalink. I would suggest that you have maybe two thirds of the possible maximum healing impact. You have a unique skill set, I would like to share some ideas on pain, chronic pain, healing, suffering and condensing pain. I have C-PTSD, am a former professional athlete and spent my time on the cushion, this skill set uses the body, mind and aerobic exercise to condense pain, make it your friend or at least a companion. It’d be great to hear more of your thoughts on this – here in the comments or you can send me an email at themeditativebrain@gmail.com. It might make a great post, as I’ve yet to look at meditation and its effects on PTSD. Oh my omission, a decade ago I was in a triple rollover, spinal injury and chronic pain patient, my PTSD did not explode till later. Evaluating my pain one day, I realized pain was invisible like the wind, powerful without form, structure. My opponent, was a ghost, a real powerful, shadowy figure, capable of consuming vast amounts of energy and time. Tired of the chronic pain group, I threw most of my meds away, and decided to approach this challenge as a jock, a mindful jock now. Pain needed to have human qualities, finite characteristics so I could compete against it. So, I named my pain Mr. P.
Mister P. was my opponent, when walking, exercising, competing, resisting the urge to quit when hurting, tired. I walked till Mr. P. cried out for me to quit, to go back and get a beer, watch TV, then I turned the music up and marched for another twenty minutes. After a couple of weeks, a big shift happened, my pain compressed, I was familiar with it, a friend with it finally. We do not have to fear or be reverent to our pain, it needs no honor. Keep moving, exercise, challenge yourself, compete, exhaust yourself, rest. My pain receives as little recognition as possible. My pain does not harbor harmful emotions or intent towards me. Pain is faceless, odorless and invisible like the wind. Science can not gauge its severity yet. Others can not feel our pain or care about our plight. Pain is just a warning signal(body mechanism) to protect us. I go for power walks where my pain is aroused to the point, where my body wants to stop, then I go another twenty minutes. This has many benefits physically and mentally. My pain does not stop me from moving my legs and walking through it mindfully. My own endorphins have helped kill the pain, also. My own body is learning to accept and adjust to this stress on its own. My ego knows pain does not stop me from exercising, so later it does not stop me from enjoying other activities. Pain is more of an inconvenience to me, it drains energy handling it all day long. Besides that my life does not have suffering but calm excitement and opportunity. I can accept my life with C-PTSD and chronic pain or suffer. I surrendered and escaped. I’m sorry that you’ve had to deal with this Marty. But thank you for sharing your writing! I hope your posts will be of some inspiration to others! Oh no need for that. I believe, Have experienced pain for a long period and in many facets. Any thought I give to my pain increases it’s power, by bringing blood and electricity to this refion, by bringing attention in the mind,which neuroscience now details, “What fires together wires together. Think about your pain and it grows in intensity and power in the mind. Let that thought go and pain remains at it’s existing level. Bring fear to your pain and no up suffering. This is kind of my base actions to limit my chronic pain. This limits what I add to it. I do not think or honor my pain. Next I believe through meditation and aerobic exercise to haunt ion, chronic pain came be condensed, lessened. Being able to let go of thoughts, of fears, of the pain limits the power and scope of chronic pain for me. We heal by going at the pain, exercising and then using our endorphins to handle the pain and take action when pain is activated. This changes our relationship with pain, it does not have to be the enemy. Where does this fit with your experience?